Be wowed by Chinese performers, enjoy wintery hot drinks and snacks and shop in the Christmas marketplace featuring hand-made crafts from Chinese artisans. 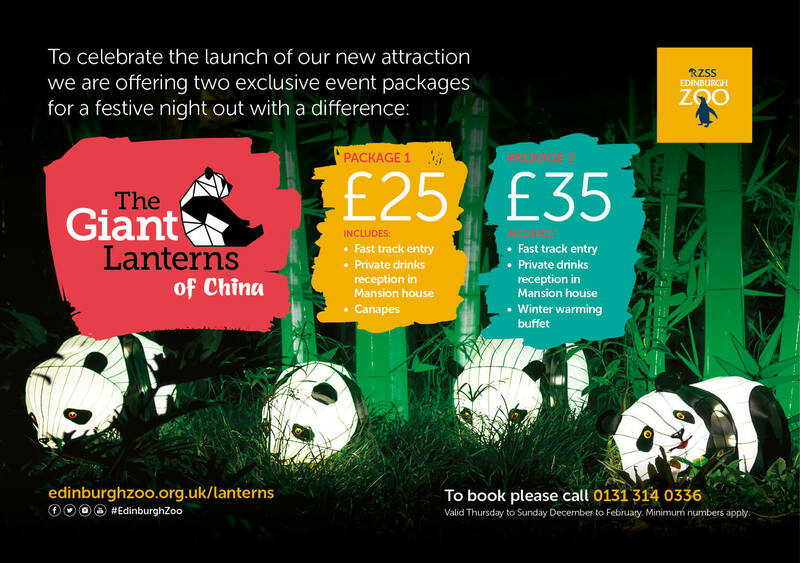 The partnership to create the lanterns stems from a long standing relationship between RZSS and Sichuan, the birth place of Edinburgh Zoo’s giant pandas. Tickets for the Lantern Festival are now on sale for dates 1 December 2017 through 25 February 2018. Group and Corporate packages are available to light up your night, for more details please email the events team, call on 0131 314 0336, or visit the website.